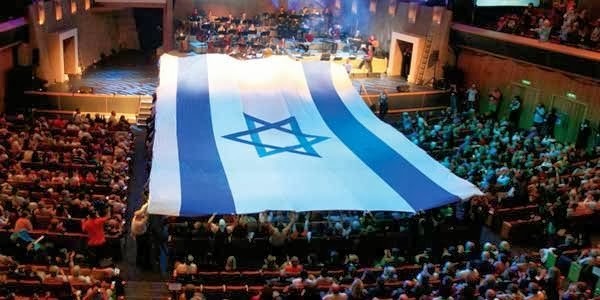 Mark's parents, Jim & Julia Chandler, helped blaze the trail for the creation of The International Christian Embassy Jerusalem, a global ministry representing churches, denominations and millions of Christians worldwide who share a love and concern for Israel and who seek to repair the historic breach between the Church and the Jewish people. The Chandler's, centered in Jerusalem in the 70's and 80's, lead the very first intercessory prayer team and witnessed many miracles, ranging from instant miraculous healings to the prevention of an invasion of Israel. The ICEJ recognizes the modern-day restoration of Israel to the faithfulness of God to keep His ancient covenant promises to the Jewish people. From their Jerusalem headquarters, the work of the Christian Embassy now reaches more than 140 countries, including established branch offices in over 70 nations worldwide. You can watch several videos from this years feast HERE! Sign This Petition NOT To Support Syria! !